3D printers can print a lot of things, thats for sure. 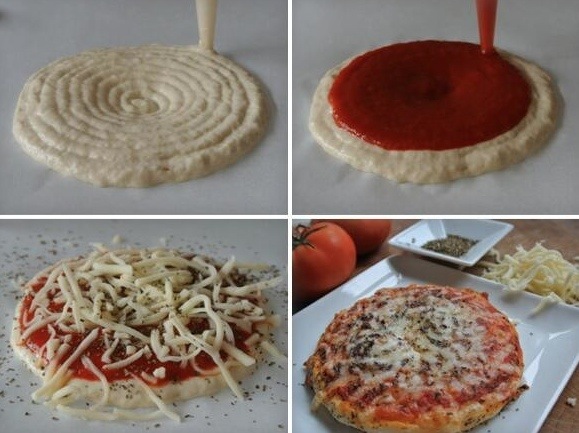 The next step is 3D printed food. While not as good as a Star Trek replicator, the Foodini can make lots of fun things from pizza to custom designed cookies. The company that makes this device is called Natural Machines and cofounder Lynetta Kucsma explains that its ability is not limited to pizza. While initially developed to make sweets, it can also make a variety of things from burgers to pasta. But, being only a printer, it doesn’t cook any of these things; it merely prepares them for cooking. Still, it should be able to save you a couple of steps in the kitchen and if you often find yourself making a lot of the same things, like santa-shaped cookies for Christmas. The machine holds five different capsules into which the operators/cooks can manually load different food items. Foodini was inspired by NASAs plan to 3D print food on the International Space Station.